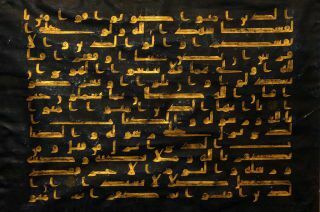 This horizontal Qur’an page of indigo-died parchment was executed in golden kufic script without any auxiliary vowel markers or diacritics. It is assumed to have formed part of a manuscript made in North Africa, possibly Kairouan, during the AH 4th century / AD 10th century. 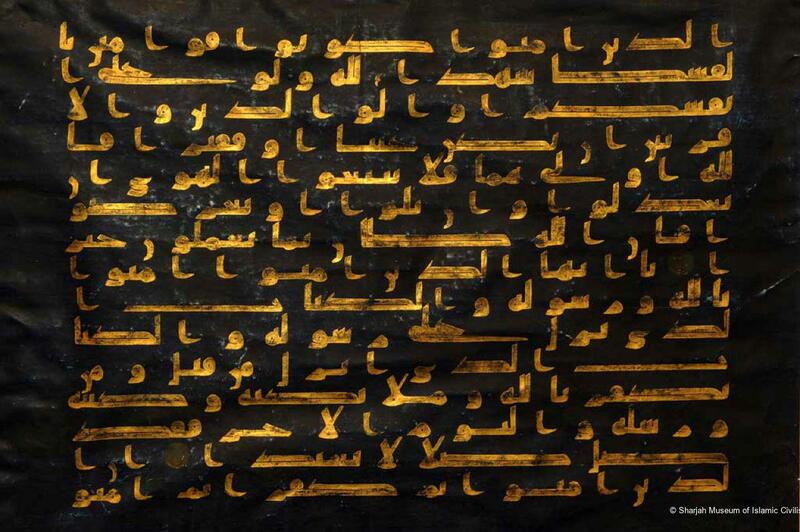 The page gives verses 135-137 from chapter 4 "Al-Nisa’ (The Women)".